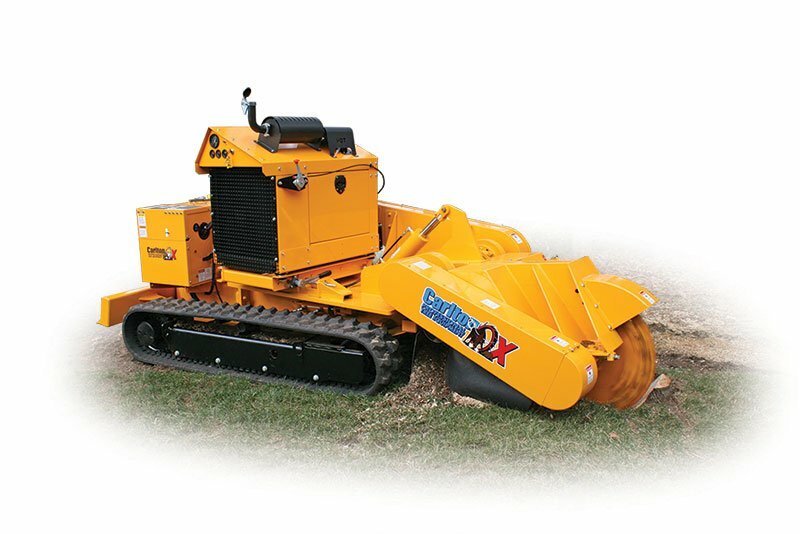 The Model 8018 Stump Cutter utilizes a 99 HP Turbo Charged Kubota diesel engine to give the commercial user the power he needs. 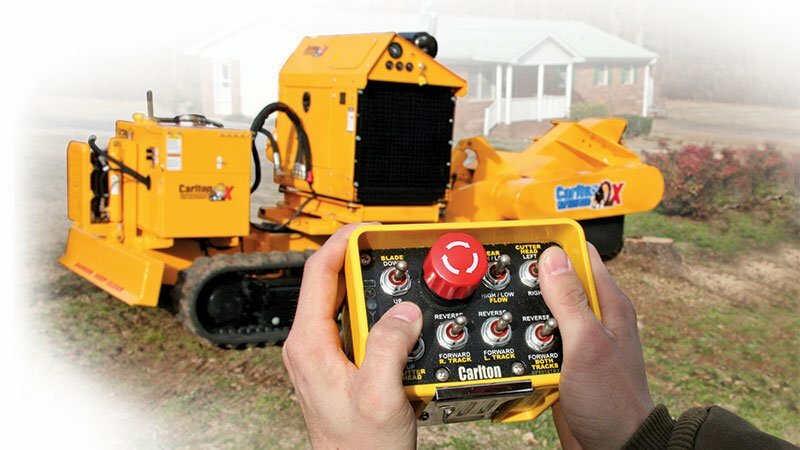 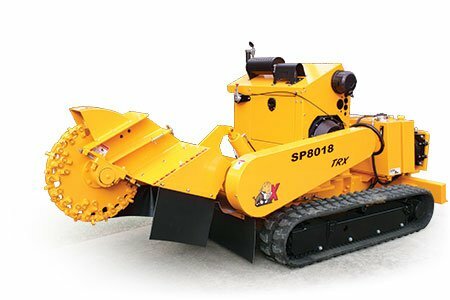 The SP8018 TRX provides 99-horsepower and features a wireless remote control, four speed ground drive capabilities, and traction control. 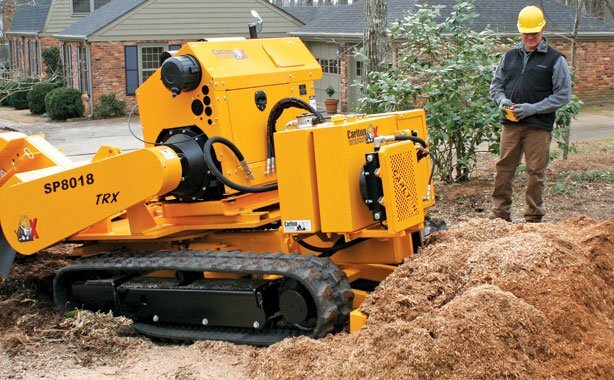 With cutting dimensions of 43-inches above ground, 18-inches below ground, and an 80-inch sweep, this machine is unmatched in power and performance. 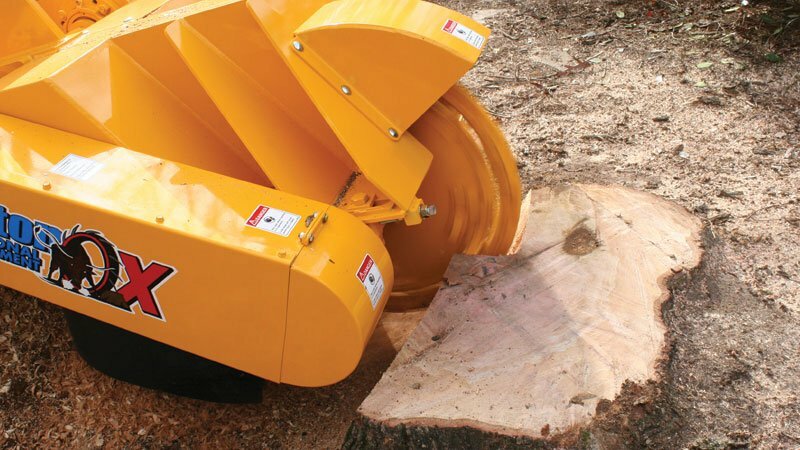 Extremely High Horsepower (99-HP) combined with the J.P. Carlton belt drive system provides the most torque to cutter wheel available. 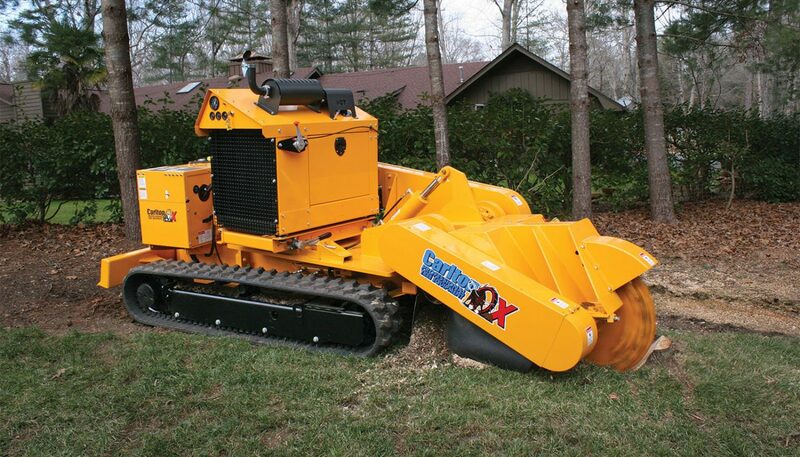 99-HP Kubota Diesel Engine provides enormous cutting power. 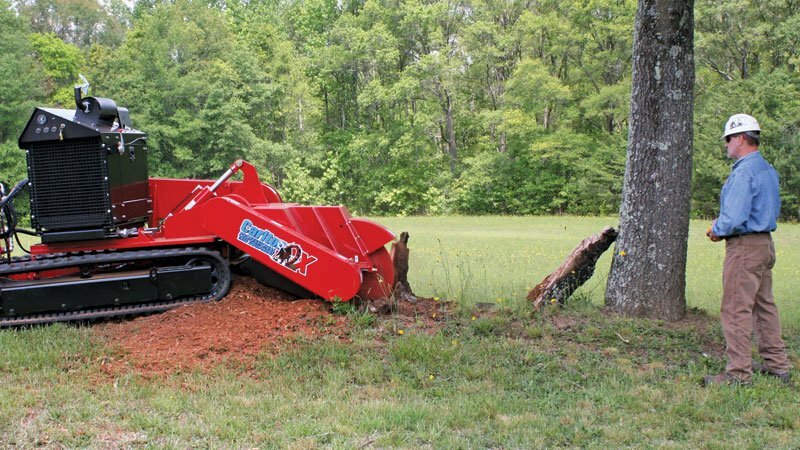 Kubota engines are known worldwide for their durability and fuel economy. 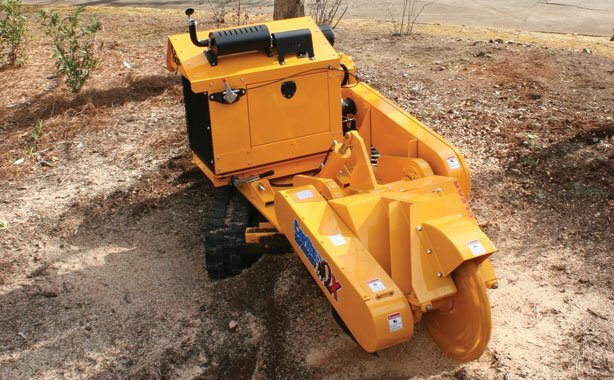 Hydraulically Controlled Scrape Blade provides ability to spread or move chip piles for customers. 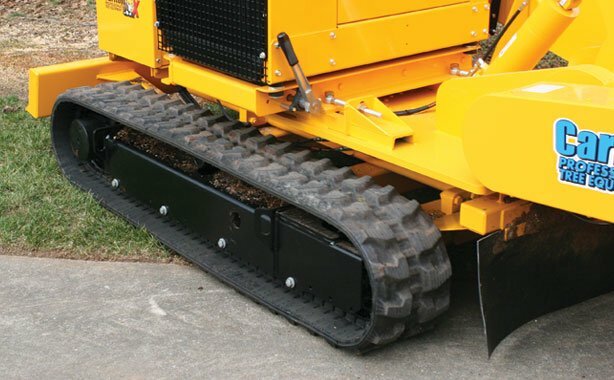 Turf Friendly Tracks are at home on both lawns and land clearing sites.